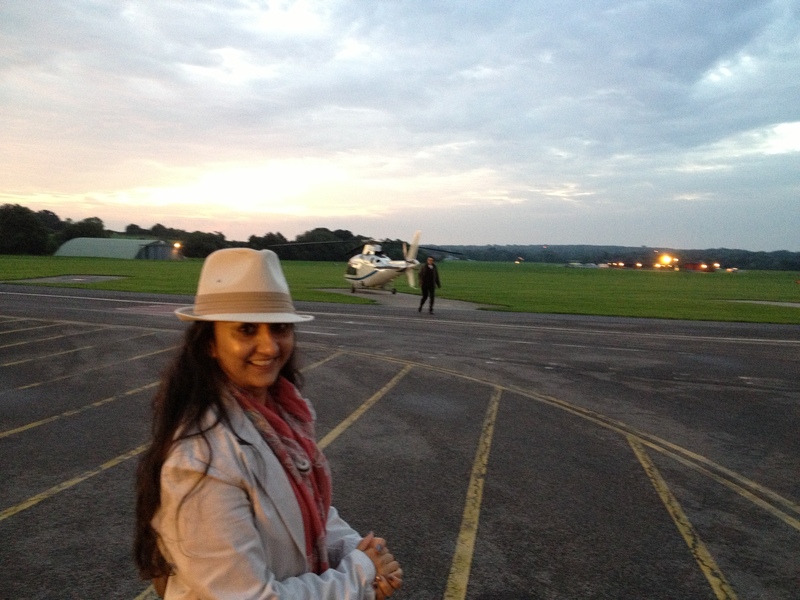 Helicopters, Bollywood Stars and Serendipity. On Sunday I was a very lucky girl! 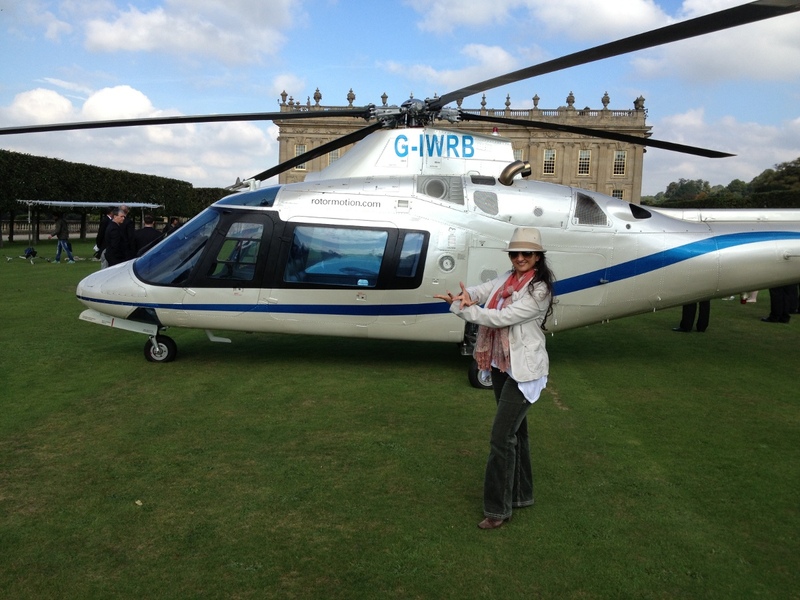 I was flown by helicopter from Surrey to Chatsworth House in Derbyshire to spend a day on the sets of a Bollywood film. It was probably one of the most magical days of my life. From the moment I woke up at 5am to the time I got back home at 6pm – I was like a child on Christmas Day. So excited! The thing I was most excited about was the helicopter ride! You see, I’ve never been in a helicopter before, and to be flown over London city at sunrise and to land on the front lawn of Chatsworth House is an experience that I will never ever forget! We spent all day watching the filming of a Bollywood film called Humshakal due to be released in June 2014 and featuring big stars like Saif Ali Khan, Bipasha Basu and Riteish Deshmukh. I don’t get star struck very easily, as I believe actors are just doing a job – for which they are fortunate to get paid a lot of money. I do admire those who make it to the top – because it is a tough industry and for every mega star who makes it, there are 1000s who have failed. But still, I have no time for big egos, and so meeting stars doesn’t faze me! It was really interesting to watch the process of filming, and see how each scene is shot in so many different ways – and how many takes are needed for what seemed like very simple lines. I was amazed at the number of crew on location. The entire team was made up of people from England as well as a large Indian contingent. It was really interesting to see (and hear) how they worked together – and one could often see the clash of cultures. It was truly a super day – and I will cherish the memory for a long time. But, I have been thinking about how the whole experience came about – and what led me to get a phone call from one of my class Jhoomers on a Saturday afternoon asking if I could make the trip the following day. 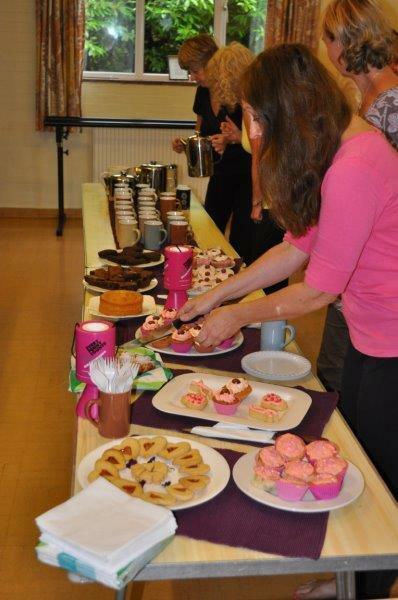 Well, it all goes back to the Coffee and Cake Morning that I held for Breakthrough Breast Cancer on my birthday on the 14th of September. Just Jhoom! has partnered with Breakthrough Breast Cancer and pledged to fundraise for their campaigning and research activities for the next 12 months. The event I held on that Saturday morning was one of the first ones in the hope to kick-start and encourage other instructors to follow suit. It was all quite lastminute – and I really wasn’t sure how successful it would be – seeing that I really hadn’t done very much planning! I had literally booked a hall, sent an email to all my Jhoomers, put an event on Facebook and bought some tea and coffee supplies. The rest the Jhoomers did! 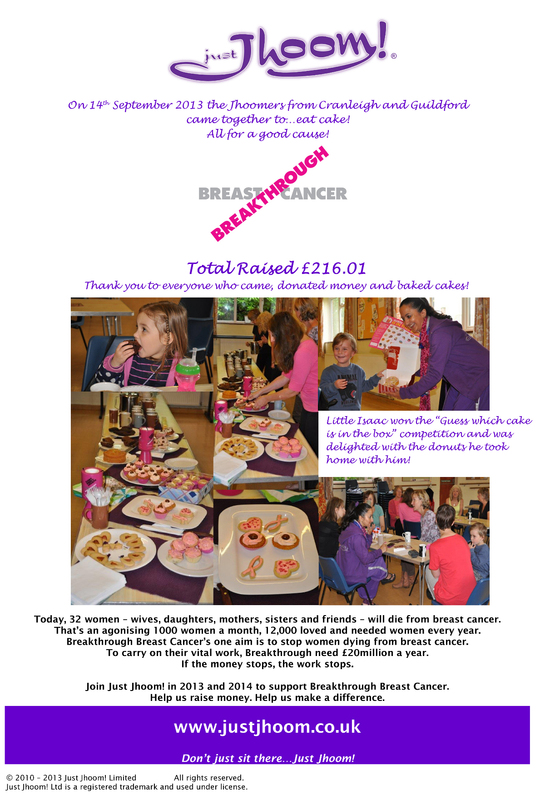 They turned up, they brought cake, they ate cake and they donated their money generously… and in one hour we raised £216. Not bad for an hours work! And, I was on a real high afterwards. It felt good to give back, to raise money for a worthwhile cause – and just to spend time with my Jhoomers and friends in a social, relaxed environment. It was a lovely, fun morning. Attending the morning was someone I’ve known for many years – but who has never been to my classes before. Katharine Gordon and I used to work at the Cranleigh Arts Centre around the same time in the early noughties. 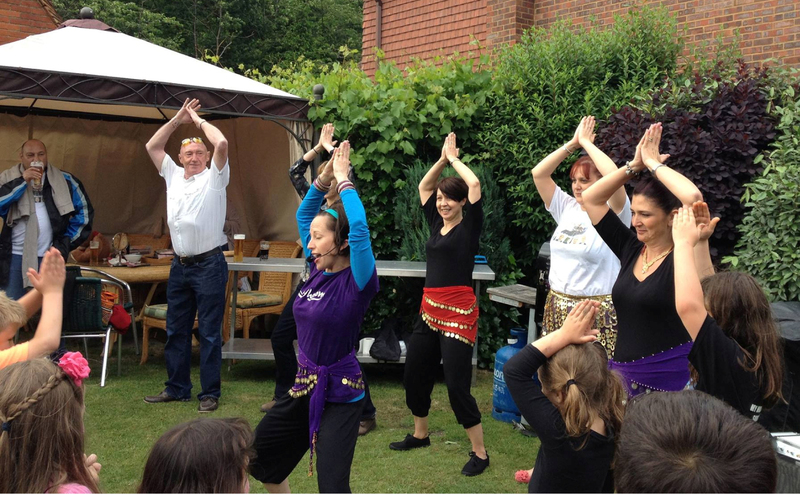 Katharine saw the event on Facebook – and replied that she would be there both for the Coffee and Cake Morning and the Just Jhoom! class before. She was there, she Jhoomed – and she loved it! She promptly signed up for the rest of my classes for the term. So, there was something else that was successful from that morning – a new Jhoomer for my classes. And I can tell you – she is a true Bollywood Diva! Katharine had only been coming to my classes for 2 weeks – when her partner Philip (a helicopter pilot) mentioned that he had been asked to fly a helicopter in a Bollywood film and would she like to accompany him? Also, because he would be filming for much of the time, would Katharine like to bring someone with her to keep her company? And, guess who she chose!! So there I was being invited to visit a Bollywood set, spend the day milling with actors and crew, and be transported there by helicopter. As you can imagine – it took all of 5 seconds to make up my mind and change all the existing plans I had for Sunday! And, it all came back to the Coffee and Cake Morning. Philip and Katharine in the front! If I had not held it, would Katharine have started coming to my Just Jhoom! classes? If she hadn’t been attending my classes would she have thought about accompanying her partner to a Bollywood film set? If she had gone, would she have thought of me as the person to accompany them? I don’t know. But I am grateful for the sequence of events – because it gave me this fabulous, truly mind-blowing experience. I didn’t hold the Coffee and Cake Morning with the intention of receiving anything personally. It really was about raising money for an important charity. But I got so much more than I bargained for. 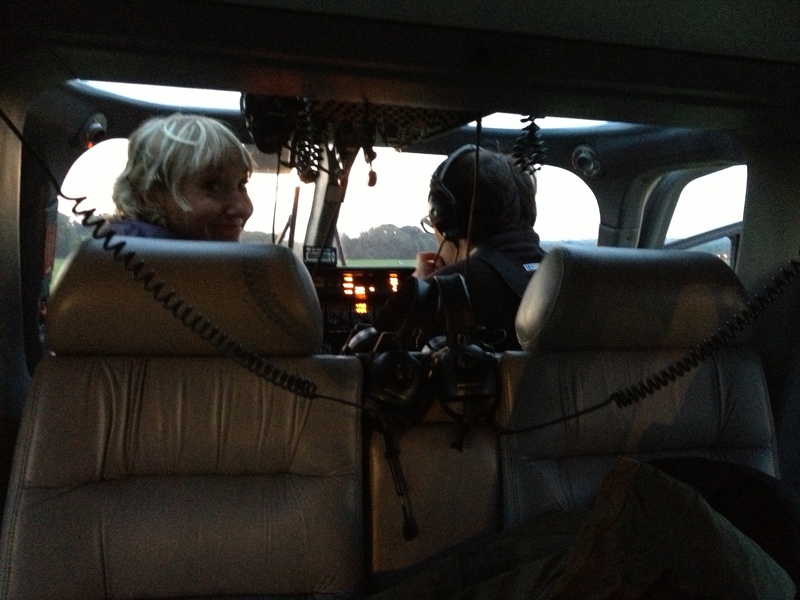 Fun, friendship, laughter, happiness and… a helicopter ride! And for that, I will always be grateful. Life is truly amazing! Don’t you think? 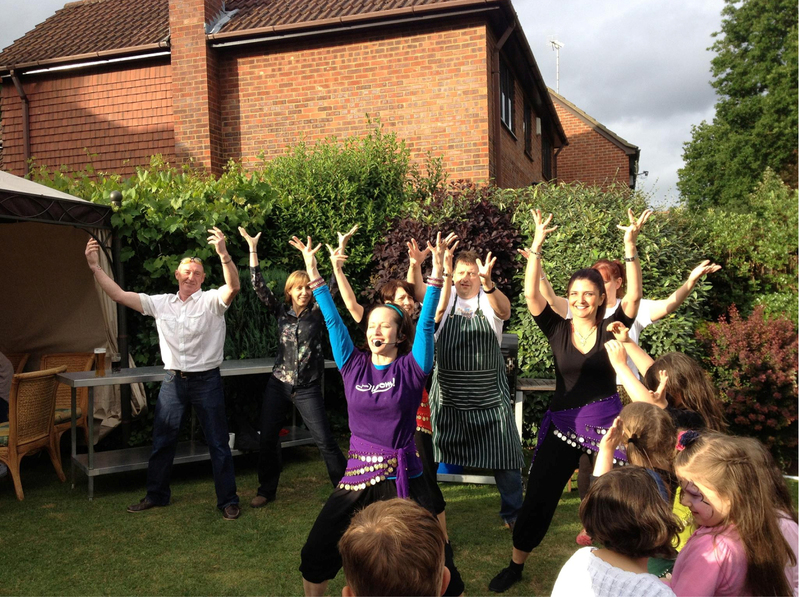 PS – Big Thank You to Katharine and Philip for a Jhoomtastic experience! Bollywood Carmen – my take on it. For the last 2 weeks everyone seems to be asking me about my opinion of the live showing of Bollywood Carmen on BBC 3 that aired on Sunday 9 June. I had written this blog almost immediately after watching the performance but am only posting it now. The reason for my tardiness is that I wasn’t sure I wanted people to read the blog – as I have been quite critical – and have quite strong opinions on what I thought of the show! But, as a few people have pointed out – they are my opinions, my take on the show! I was really looking forward to watching this show. With strong names behind this production, including Kuljit Bhamra – one of the most talented and influential musicians and producers in the UK, Honey Kalaria – well known Bollywood dance choreographer and a stellar cast including Meera Syal and Preeya Kalidas, this BBC Three live televised event promised big things! And boy did it let us down! And on so many levels! I won’t go into the story – there is enough written about it and can be found online – but below is my take on the actual production. I’ll start with the dancing – as it would be fair to say that I would scrutinize the dancing more than any other aspect of the show – after all it is what I am about. Given that the show had Honey Kalaria billed as the choreographer – I thought that the choreography would be of a high standard. But I was sorely disappointed. The dances did not have enough content and the dancers really didn’t look like they knew what they were dancing to. They lacked facial expressions, their faces didn’t tell us the story – and they just didn’t convey the essence of Bollywood dancing. Over the years I have gone on and on about Bollywood dancing needing technique – and how choreographers and dancers are not creating good work because they do not have a solid foundation in technique. Yes – these dancers may have been good – in other forms of dance – but what was their knowledge, training and understanding of Bollywood dancing? You would not ask a jazz or hip hop dancer to perform ballet on such a big, important platform – so why do you not afford Bollywood dancing the same courtesy. A mixed-bag really. The salmon-pink dancer outfits really didn’t do anything for me – and they seemed to get lost in the setting. Abhay Deol’s sherwanis looked good – but I was disappointed that Preeya’s red outfits didn’t have more of a Bollywood flavour. And the turbans for the guys? I mean really!? Otherwise costumes were ok…. The biggest let down of the cast – was the so called big Bollywood Star AD – Abhay Deol in the real world. Now at the best of times Abhay Deol is not a huge Bollywood star. Yes, he comes from an illustrious family of Bollywood actors – and has delivered the occasional hit film – but he is nowhere near as popular as his uncle – the legend that is Dharmendra or his cousins Sunny and Bobby. 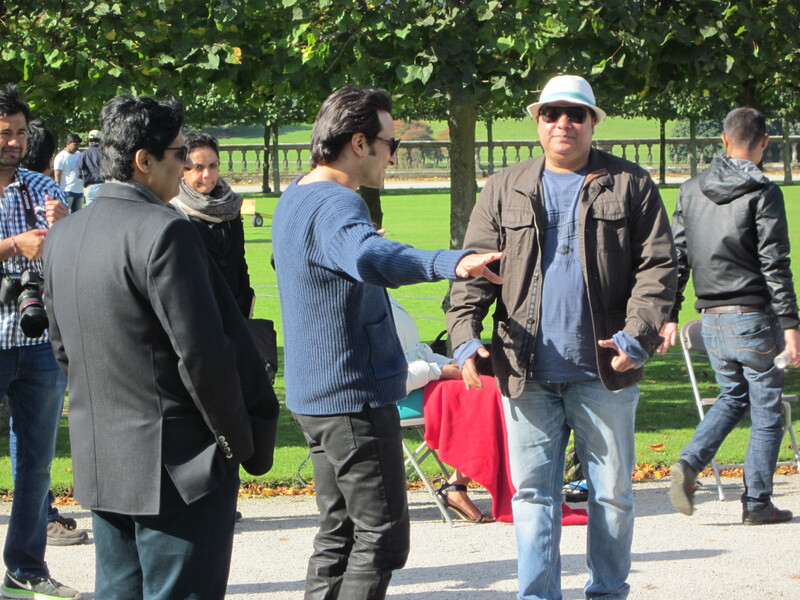 And most importantly of all, the men in the Deol family are not known for their dancing! In fact, it is an industry joke that they cannot dance! So why on earth did BBC think that Abhay Deol would suit this role – a role that needed someone with huge stage presence and the ability to dance. His acting on stage was wooden, he fluffed up his lines – oh yes it was very noticeable – and he did not come across as natural or at ease at all! The rest of the cast were ok – given the rather poor script. Preeya Kalidas looked amazing – and put in an admirable effort – but overall the acting lacked conviction. Even old hands like Meera Syal came across as unnatural and ill at ease. Cheesy acting is part and parcel of Bollywood films. But there is good cheese – and there is bad. This definitely was not so good! The lines were clunky, the acting wooden and the lines just didn’t flow. It also felt under-rehearsed. All would have been forgiven if the music had lived up to expectation! But no, this too just wasn’t quite right! As many people on Twitter said “It just wasn’t Bollywood enough”! And what was from Bollywood was watered down versions or worse still Anglicised versions of Bollywood classics. I think what angered me most is that there is an abundance of Bollywood music available – and cheap, watered down versions do not always show the music in the best light. Also, why on earth would you put on a Bollywood production and then not use Bollywood music? The mind boggles. This was a difficult production to pull off – given that it was live, had multiple settings and large casts of dancers – it actually didn’t do too badly to be televised with minimum disruption. But, it was hard to escape the clunky scene changes, the wooden, cringy acting and the overall feeling that this was an under-rehearsed, ill-thought out production. The only real winner in this whole sorry saga was Bradford City Park which looked stunning in the evening light with the fountains and colours and crowds. So, that’s how I felt about the telecast of Bollywood Carmen. It really is my opinion – and I don’t want to offend all the people who did work so hard on putting this show together. But, I do think that this was a lost opportunity to showcase the beauty, colour, vibrancy and talent that is Bollywood in its best light. In that aspect, Bollywood Carmen failed miserably!